The Internal Mini Blinds are sealed in between two panes of tempered safety glass. 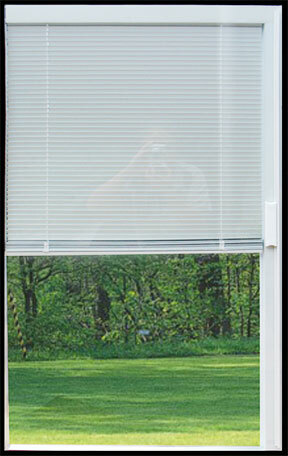 The built in blinds offer maximum privacy with minimum care, and the blinds never need dusting or cleaning. The easy assembly design makes insulating job even simpler - snap the head rail and the side rail into spacer. Done. Fewer components used make the assembly easy and to keep the quality stability. Heavy duty belt makes the cordless blinds eliminating from hanging cords. 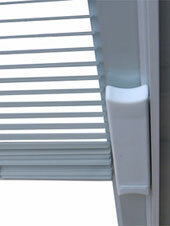 The single aluminum tube allows raising and lowering the blinds at the same speed. 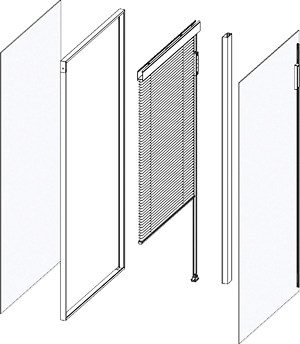 The one easy accessible control allows the blinds to be easily adjusted for the amount of light and privacy.